Taking care of your skin is important no matter of the age. Beauty world offers thousands of options to choose from, from different price points to special ingredients and to the most basic ones. The range is basically endless and choosing something for your skin can be quite hectic. 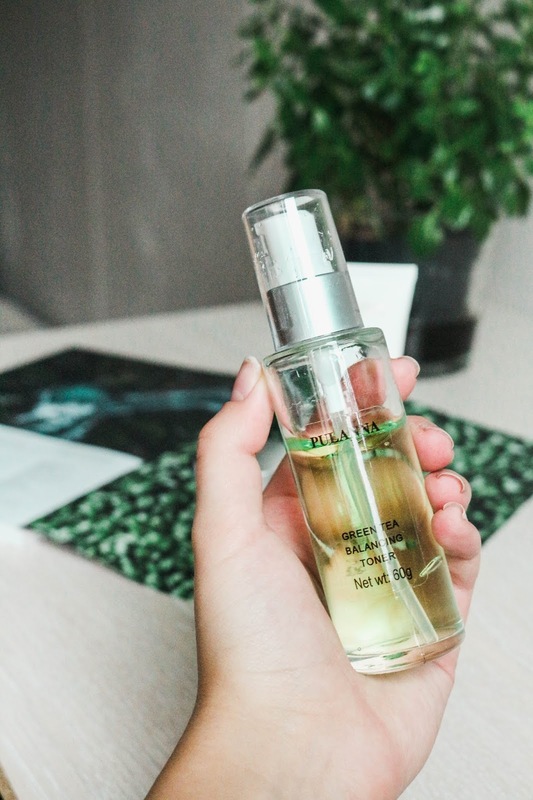 As a blogger, I love to try out new products from different price points, because beauty and skin care items can be these days ridiculously expensive and maybe are not even worth the price tag that you have to pay for the "perfect skin". 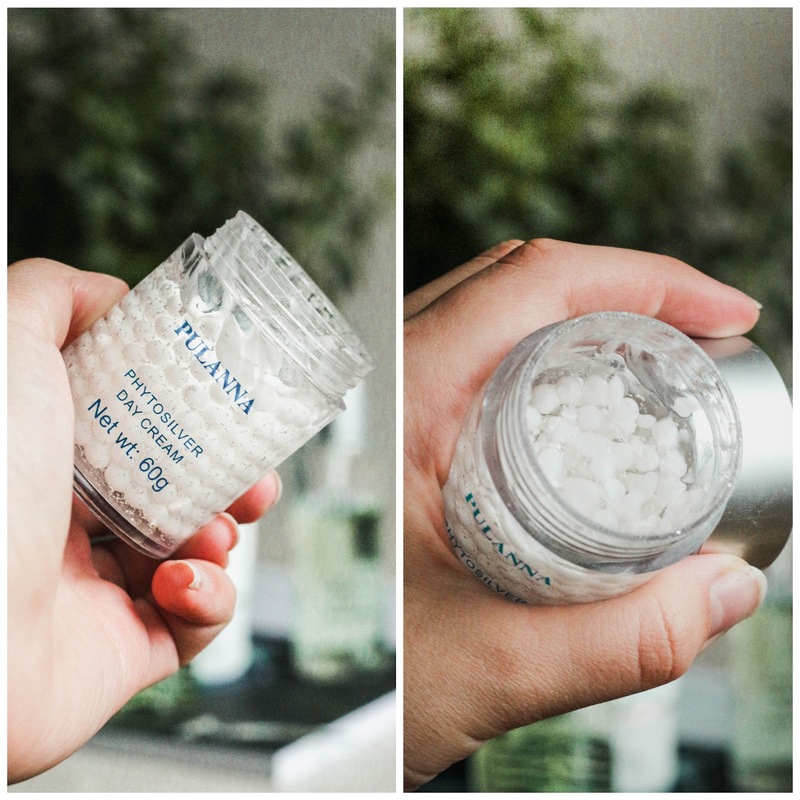 Today I am talking about PULANNA skin care. PULANNA skin care is said to be delicate and efficient. I have to be honest, I had never heard about PULANNA before, so it was for me totally new brand to discover. I like to start with my favourite one and it is Green Tea Balancing Toner. Toners are usually something that a lot of people are too lazy to use and they do not see the purpose of them. I have to say that I have not used many toners but this is by far my favourite one. Green tea extracts have a calming effect and toners balance the skin pH. I use it every morning and night before moisturizing, it feels light even if it not watery, it has gel consistency. I just use my fingers, no cotton pads, and massage the gel into my skin. Toners don't give an instant difference but I have used it now for 3 weeks and of course, it is a combination of the other products as well, but my skin has been looking better than it did in September and October. Now, the toner is a must step in my skin care routine. It is suitable for dry and oily skin types because it balances the skin. I have a combination skin type, it can get oily and it can get very dry in the winter time. It is said that it stimulates the natural renewal process of cells, prevents acne and skin from ageing. Also, Phytosilver day cream protects the skin from harmful climate factors, for instance, wind, warm and cold temperatures. I have been absolutely enjoying using it, it feels light and it is hydrating. It sits perfectly underneath the makeup, I haven't had any problems even with heavier foundations. Sometimes I find that when two products do not mix together, it starts to roll off and gets patchy, especially with a heavier day cream. Also, I have to mention that PULANNA products are with just a great price tag, not at all on the expensive side. I have to say that I am very happy with Phytosilver cream, simple and works with my skin. This mask is formulated with wild ginseng, which is gathered from Chang Bai Mountain in China. It is used to slow down the appearance of ageing. Also, it has aloe and algae, which will clean the skin. It is a peel-off mask and it will get rid of aged surface cells to make the skin softer. I am not the biggest fan of peel off masks, most of them are so hurtful to peel off and it is not often worth the tears. In this case, this mask is not painful to peel off. It is a clear gel, leave it on about for 20 minutes then peel off and lastly, I like to go over the skin with lukewarm water. I wasn't that surprised by this mask, it was alright but not anything special to me. I guess I enjoy to use more those masks that show the difference instantly but maybe if you have very sensitive skin, it could be a good gentle mask for you. In their recipes, they skilfully combined rare healing herbs, metals and minerals, which made famous the sophisticated East. 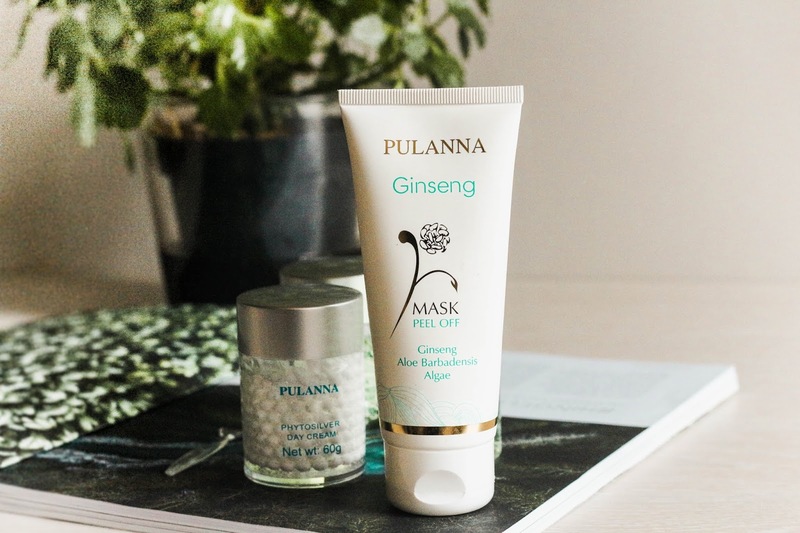 The harmonious accord of unique methods of the East, natural components and the last achievements of the leading western beauticians – all this is Pulanna. As I chose cream for the daytime, I also thought that I would like to try out one for the nighttime as well. So I decided to go with Green Tea Sebum Control night cream. I can not say that I have problematic skin in terms of acne but of course, time to time my skin can get crazy due to the hormones. So I just decided to got with this cream because green tea extracts calm the skin and I would love if something could keep my skin under control. 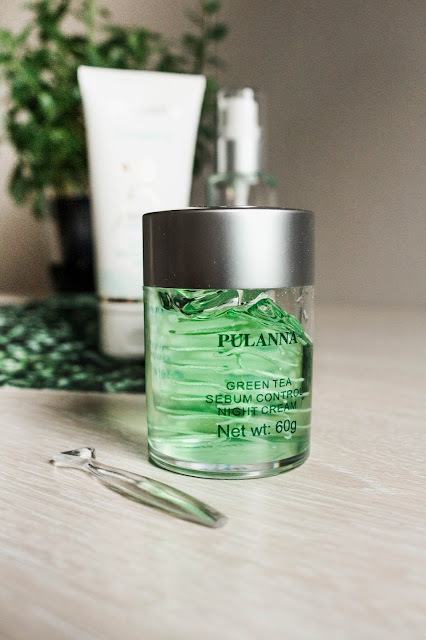 And it does that, since I started using PULANNA products I have actually seen a difference in my skin when my hormones are going crazy and overall my skin has less pimples and under the skin spots. I was quite suspicious at first, it looks like a gel, but I have combination skin and I was sure that I will not be as hydrating as my skin needs. I have to admit, I was wrong. My skin does not feel dry in the slightest and I think that my skin actually cannot absorb heavy creams, especially nighttime creams. Pores get clogged and etc. As the daytime cream is great, this one is equally as great. *Products were sent to me for reviewing purposes. I am not paid for this post.